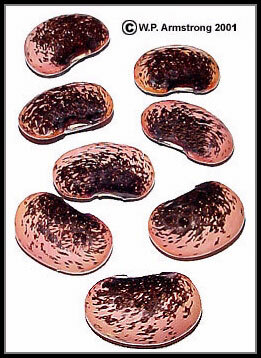 Scarlet runner bean (Phaseolus coccineus), a valuable bean native to Central America. Unlike other species of Phaseolus, the flowers are bright red and even the seed coats are tinged with pinkish-red. 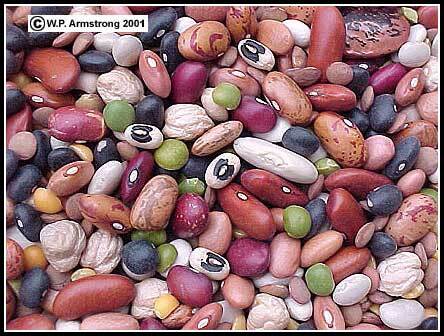 The mature seeds are cooked and used like kidney beans (P. vulgaris) and lima beans (P. lunatus). Many other parts of this interesting vine are utilized for food. The young, tender pods are boiled, steamed and sautéed; the flowers are eaten in salads and the young leaves are eaten as a potherb. Even the starchy, tuberous root is sometimes eaten. Nineteen varieties of beans: Northern, pinto, large lima, blackeye, garbanzo, baby lima, green split pea, kidney, cranberry bean, small white, pink bean, small red, yellow split pea, lentil, navy, white kidney, black bean, pearl barley and scarlet runner. A. String bean (Phaseolus vulgaris), a common cultivar with tender, edible pods; B. 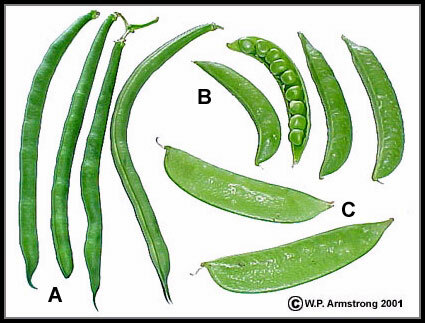 Sugar snap pea (Pisum sativum), a popular cultivar with sweet peas that can be eaten raw or cooked; C. Snow pea (Pisum sativum), a popular cultivar with tender pods used in numerous Asian dishes. 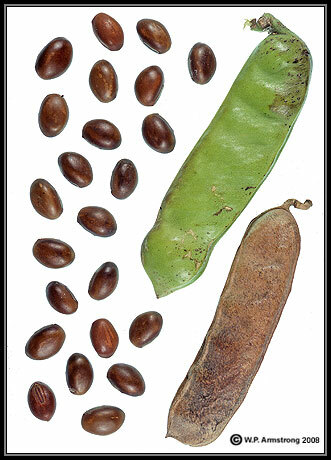 There are literally hundreds of varieties of these two species of legumes, including beans and peas with many different sizes, colors, shapes and growth habits. They represent a major component of the world's vegetables. 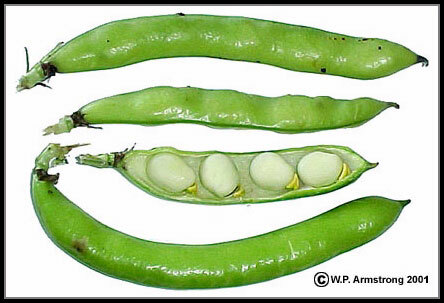 Fresh green pods of the fava or broad bean (Faba vulgaris). Faba is the type genus for the legume family (Fabaceae). 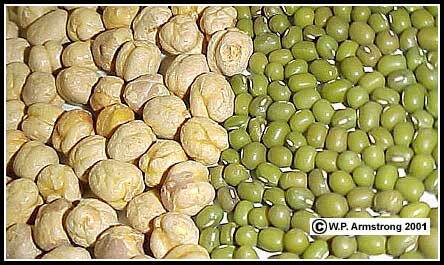 Left: Garbanzo beans or chick peas (Cicer arietinum). Right: Mung beans (Vigna radiata). Soybeans (Glycine max) are one of the most valuable of all legumes. In addition to their high protein food value, they are also the souce of tofu, texturized "meatless" patties, soy milk, soy sauce and cosmetics. Soy sprouts are high in vitamin C and are used in salads. Soybeans are probably native to northeastern China where they have been cultivated for thousands of years. Because they contain up to 40% protein (dry weight) and are high in all the eight essential amino acids except methionine, they are an important food supplement in vegetarian diets. Soy milk is boiled with magnesium or calcium salts to form curds of coagulated protein. In a process similar to cheese-making, the coagulated soy protein forms firm-textured tofu cakes. Tofu is very digestible and nourishing, and is used in many Asian dishes. It is becoming increasingly popular in the diets of health-conscious Americans. In Japan, soybean pods are salted and roasted. The soybeans are removed from the pods and eaten like salted peanuts. 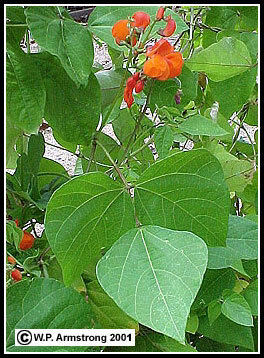 Sword bean (Canavalia gladiata), also called "Nata Mame" in Japan. It is native to tropical Asia. 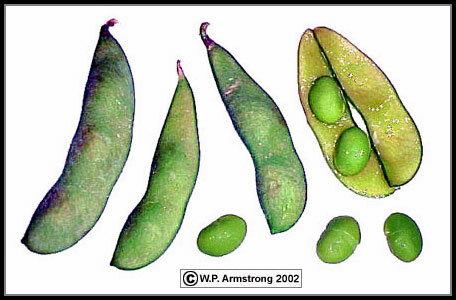 The unripe pods are bolied and served as a green vegetable like string beans. The seeds are also boiled and eaten. According to Steve Facciola (Cornucopia II, 1998): In Japan, the young pods are sliced and pickled in soy sauce with radishes, egg plants and lotus. The seeds are boiled and mashed with sugar. 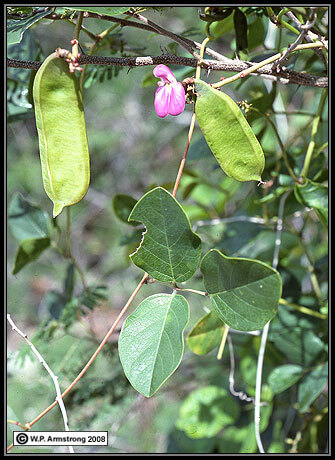 Another closely related species with large pods called jack bean (C. ensiformis) is native to tropical America. beaches of Central and South America, and along the shores of many Caribbean islands.